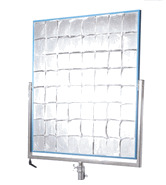 Create hard or soft light with no power using light reflectors and shiny boards from BarnDoor Lighting. 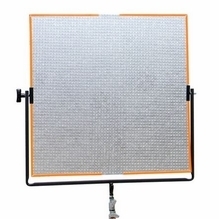 Reflectors also provide a sharp beam of light or a more diffused light source that covers a larger area. 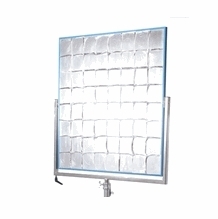 We carry hard board type reflectors - often called shiny boards - which are securely mounted and give the most lighting control. 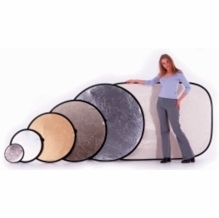 We also offer many collapsible flexfills that are usually handheld, making them perfect for run and gun shooting. 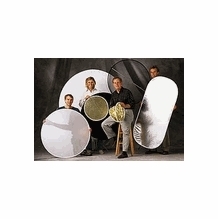 You may also choose fabric butterflies from BarnDoor Lighting if you want to be able to stretch these reflectors over a frame. 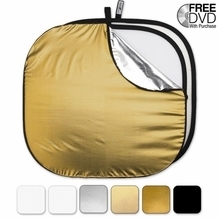 Profoto Collapsible Reflector Black / White LARGE 47"
We carry light reflectors in a huge variety of colors, including silver, gold, white and combinations of these colors. 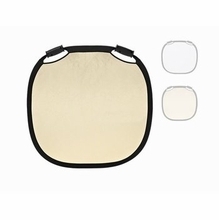 Top manufacturers, such as California SunBounce, Matthews and Profoto, make high-quality reflectors with sturdy yet lightweight materials for easy handling. If you need personalized, one-on-one advice about which style to buy, don't hesitate to contact us today at 1-888-276-3667 or info@barndoorlighting.com. We have over two decades of experience in the film and video lighting industry.